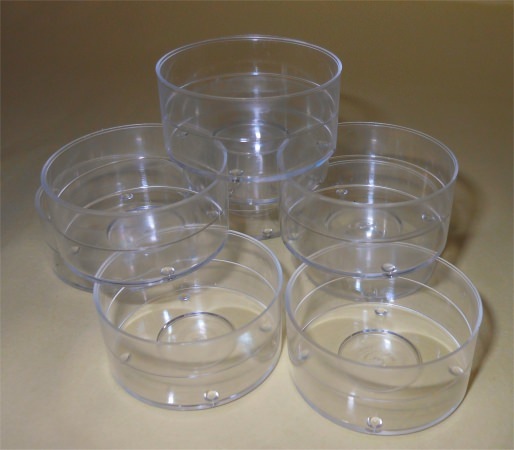 Clear Tealight Cups: Polycarbonate plastic containers for making tealight candles. 1-1/2" diameter x 3/4" high. I really don't care for these. Sometimes when the are just about done, they don't go out and then the plastic burns. I'm not worried about a fire, but burning or melting plastic fumes are not too great. I would much rather have the metal ones, even if I had to pay more. Sorry.